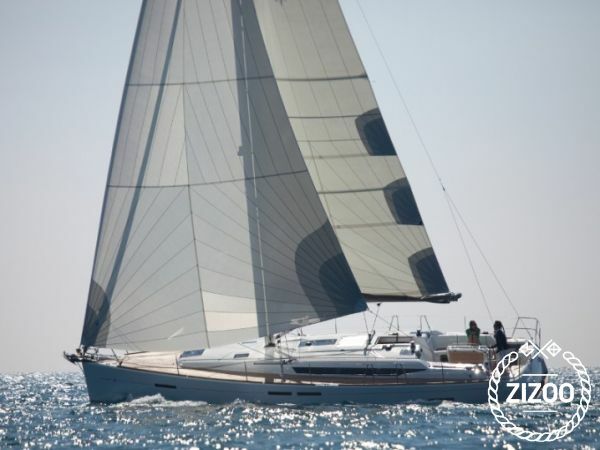 We are not toying with you when we say that this 2012 Jeanneau Sun Odyssey 439 is the perfect choice for your summer holiday in Croatia. The Toya features 4 cabins, 2 bathrooms, a charming kitchen and a cosy living area, perfect for you and a group of friends. Hoist your sails and let the wind propel you to beautiful islands that feature clear blue water, hidden coves and quiet bays. For those who prefer a more active holiday many of the islands and cities offer windsurfing and scuba diving, as well as waterskiing and parasailing. The numerous national parks that are scattered up and down the coast are great opportunities to go hiking and see the sea from a whole new perspective. And don't forget to try the local cuisine that ranges from prosciutto to cheese, olives to figs, and lamb to bean and squid stew. For more specific details and help with planning your trip, don't be shy and contact the local charter crew. Ruttforslag for en eller tva veckors segling vore bra att ha.